So when does GDPR go in effect exactly and will I be able to opt-out of data-sharing from that moment onwards? This entry was posted in Internet, lang:en, rants & raves, security, Technology and tagged bol.com, gdpr, noscript, privacy on 3 May 2018 by frank. After the PR-beating WordPress took with the massive defacements of non-upgraded WordPress installations, it is time to revisit the point-of-view of the core-team that the REST API should be active for all and that no option should be provided to disable it (as per the decisions not options philosophy). I for one installed the “Disable REST API” plugin. This entry was posted in Internet, lang:en, rants & raves, security, wordpress and tagged core, decisions not optoins, disable rest api on 11 February 2017 by frank. There is a workaround and even a more fundamental fix for that already, but who would still want to run PHP 5.2, which has this huge list of security issues? Moreover PHP 5.5 and 5.6 seem approximately twice as fast as 5.2 according to these test results and PHP 7.0 is even over three times as fast as 5.2! And still almost 9% of all WordPress sites are running on that old version (so I could have known this was coming really, bugger). I you are one of those, do urge your hosting company to urgently provide you with an upgrade path to PHP 5.6 (or even 7.0)! This entry was posted in autoptimize, Internet, lang:en, performance, rants & raves, security, Technology, Web development, wordpress and tagged end of life, php 5.2, php versons on 15 March 2016 by frank. 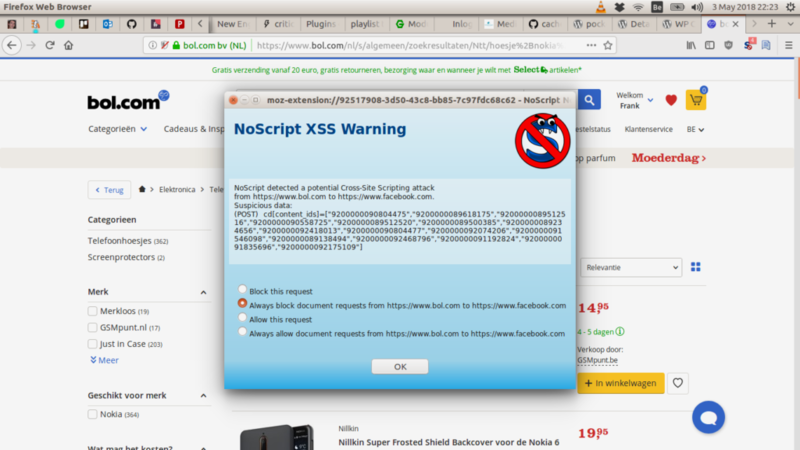 So I had a bit of a scare yesterday, when a couple of users posted on the Autoptimize support forum that their hoster warned them about malware in autoptimized CSS-file. ClamAV flagged those files as being infected with Html.Exploit.CVE_2016_0108, which turned out to be a MS IE 11 specific memory corruption issue. I can confirm that the CSS files no longer trigger a false positive! So all’s well that ends well. I’m convinced ClamAV is doing a great job, but boy do I hate false positives! This entry was posted in autoptimize, lang:en, security and tagged clam av, cve 2016-0108, false positive, html.exploit on 11 March 2016 by frank.